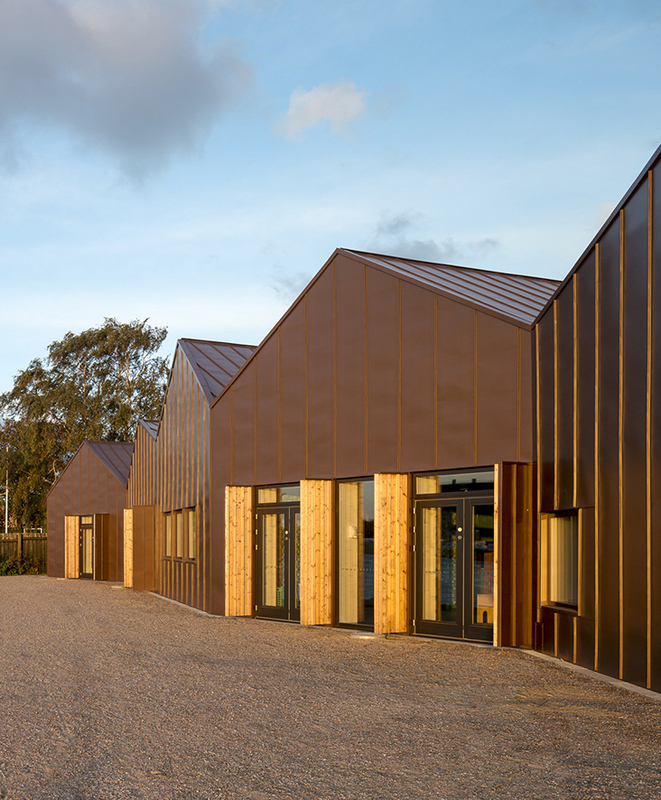 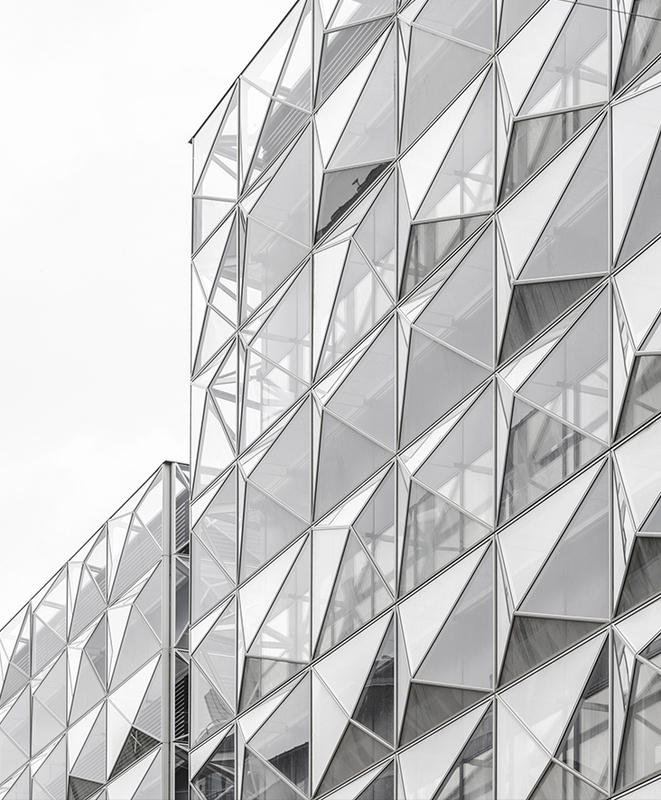 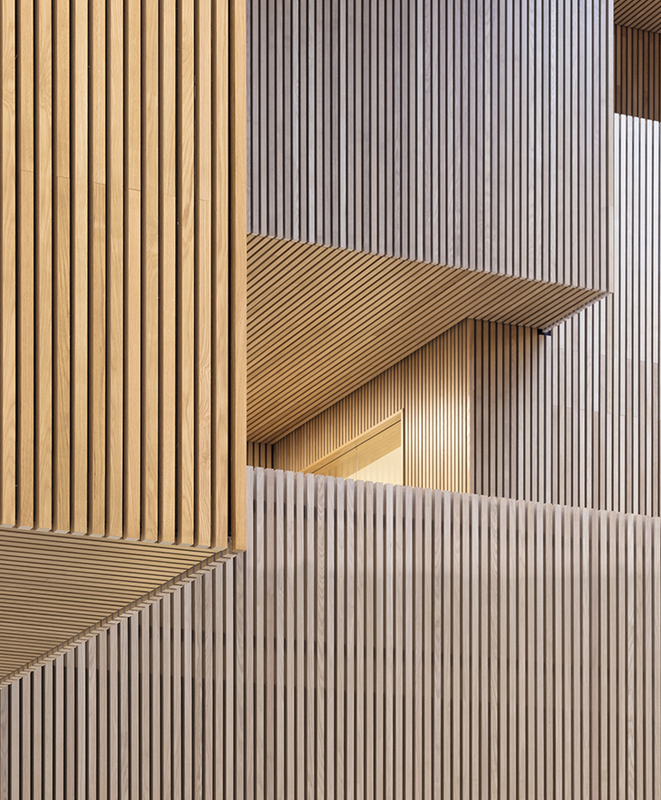 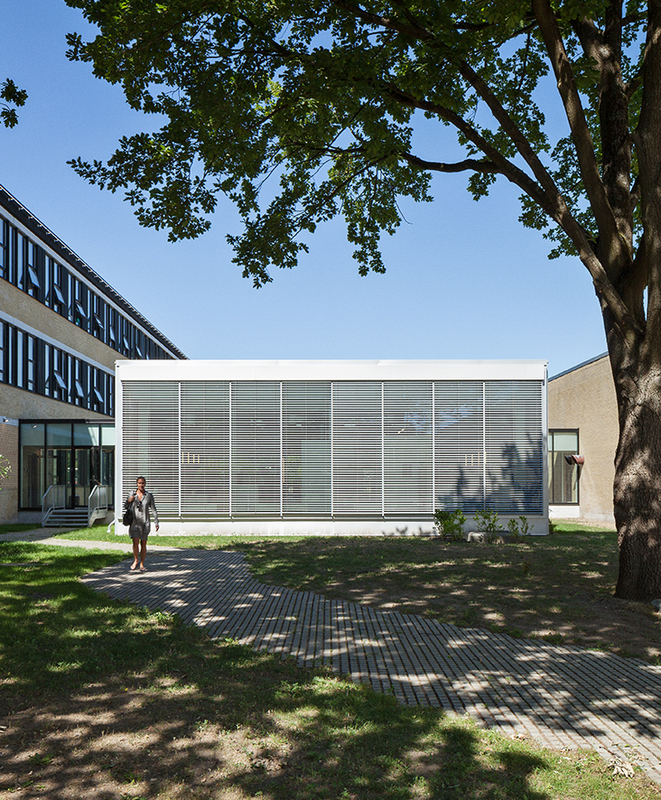 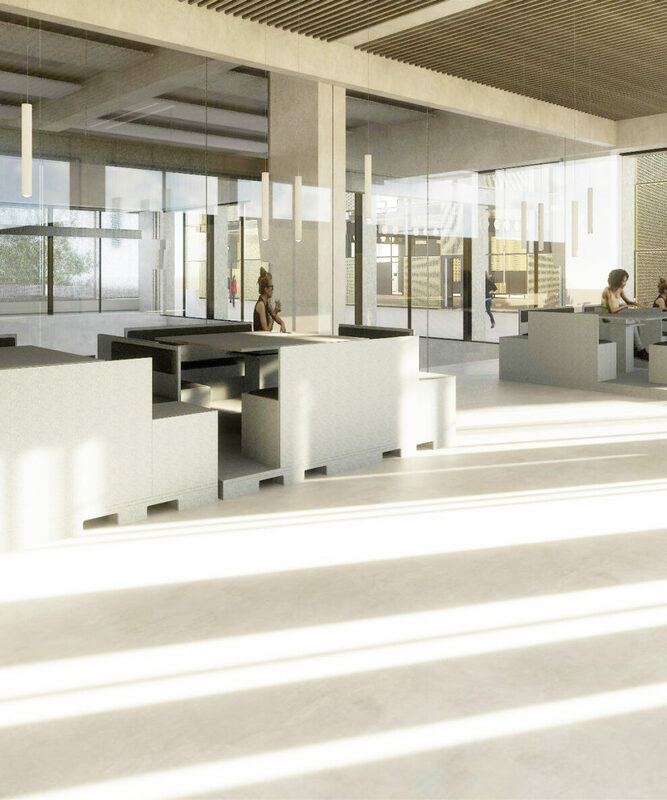 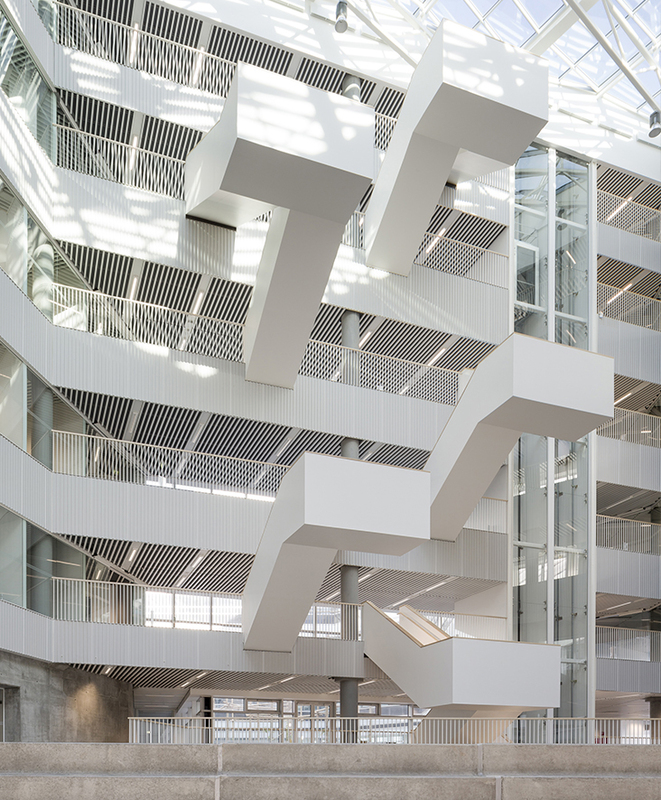 The state-of-the-art research facility of B130 at the Department of Civil Engineering of DTU – Technical University of Denmark will act as a framework for the department’s research of materials as well as supporting a number of its core services. 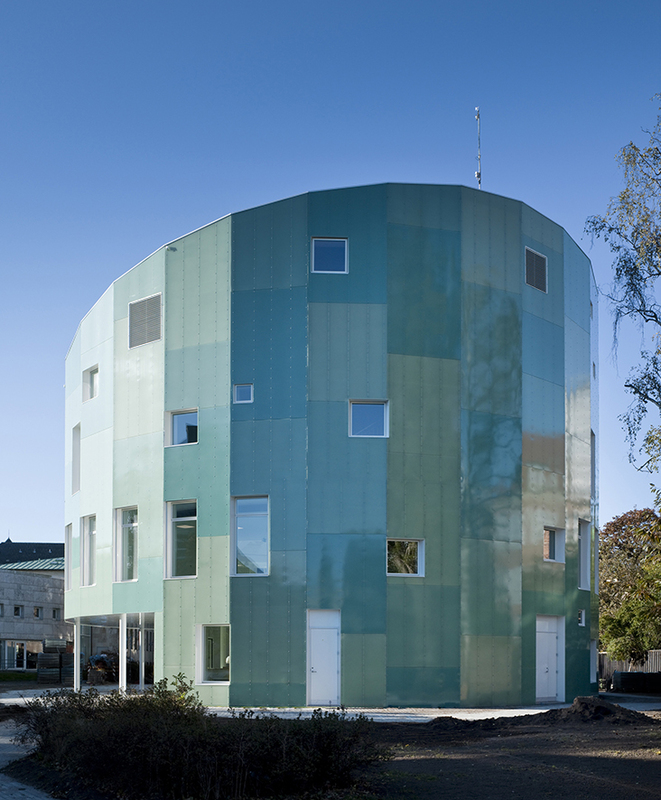 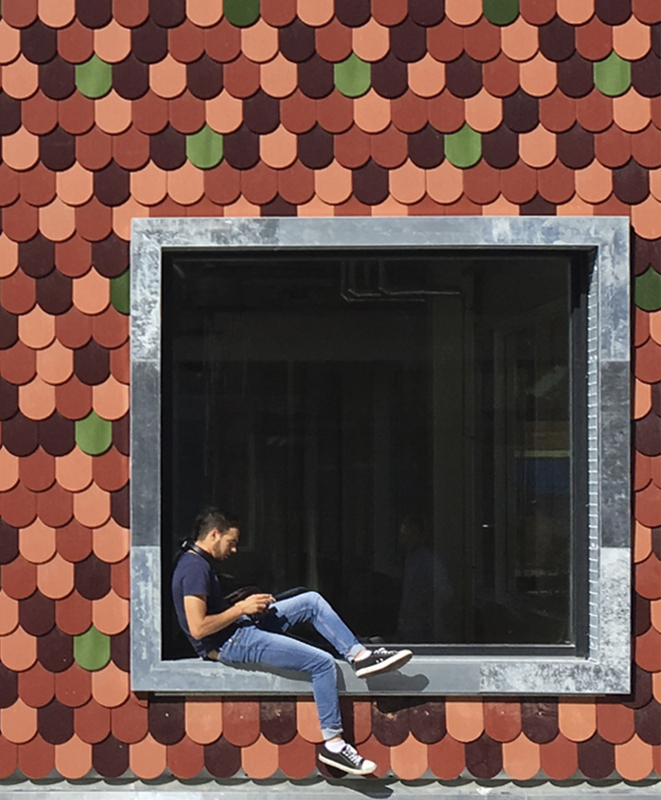 The building itself is part of the research project on green concrete, where, for the first time ever, a newly developed green concrete is used, saving up to 30 percent in CO₂ emissions. 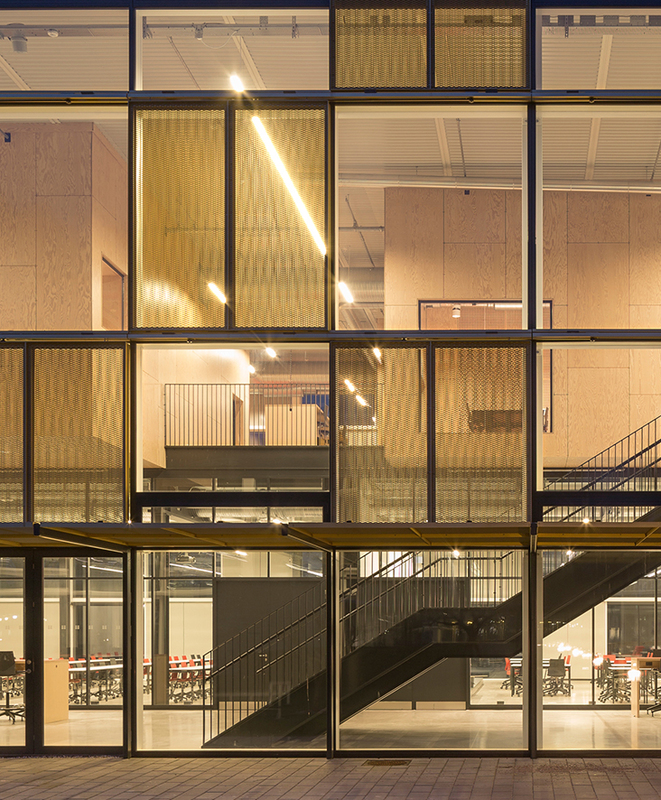 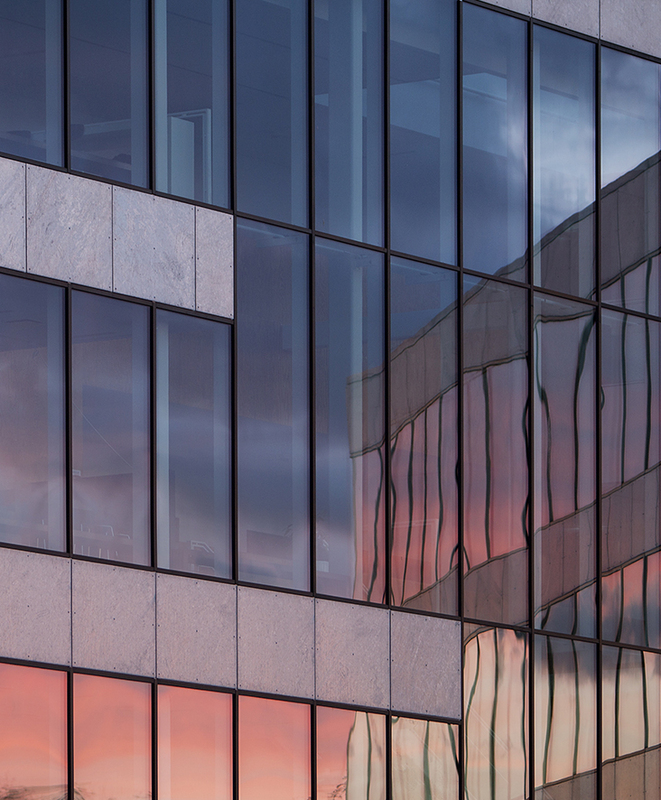 The ambition of the building is to support interdisciplinary collaboration and to offer an attractive and stimulating universe for research and learning. 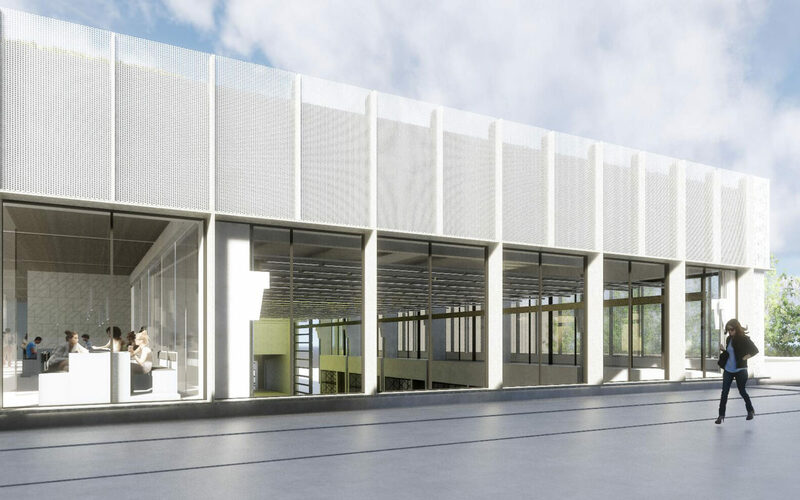 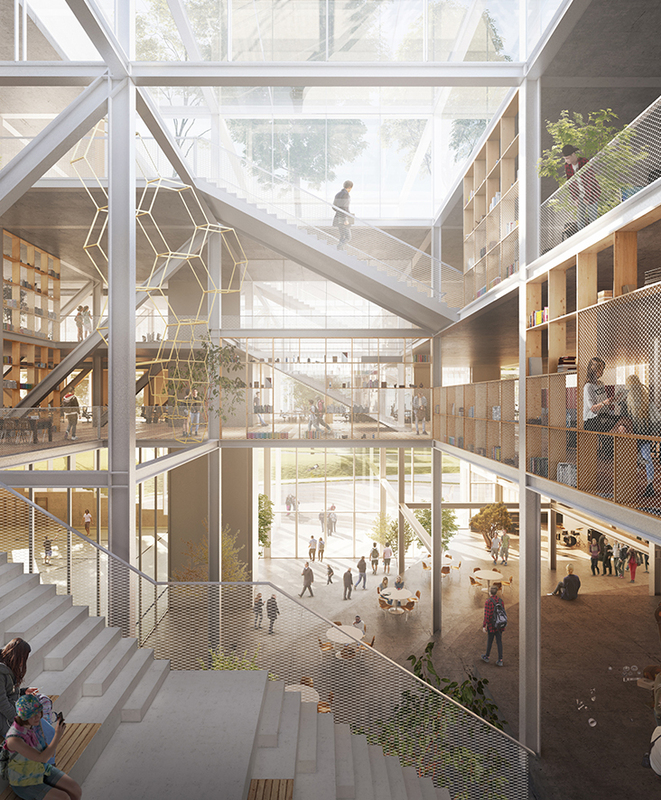 Hence, the disposal of the project is based on securing a high degree of openness and transparency – both in relation to the surroundings, where the students and employees can include the outdoor areas for experiments, and within the building where one will be able to view the activities in the workshops and laboratories from the outside. 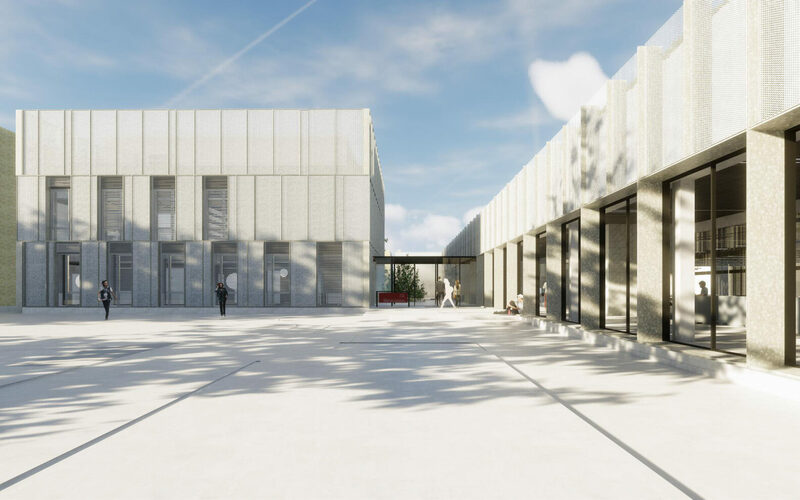 Furthermore, the workshops and laboratories of B130 will consist of facilities that support research, teaching and innovation of building materials. 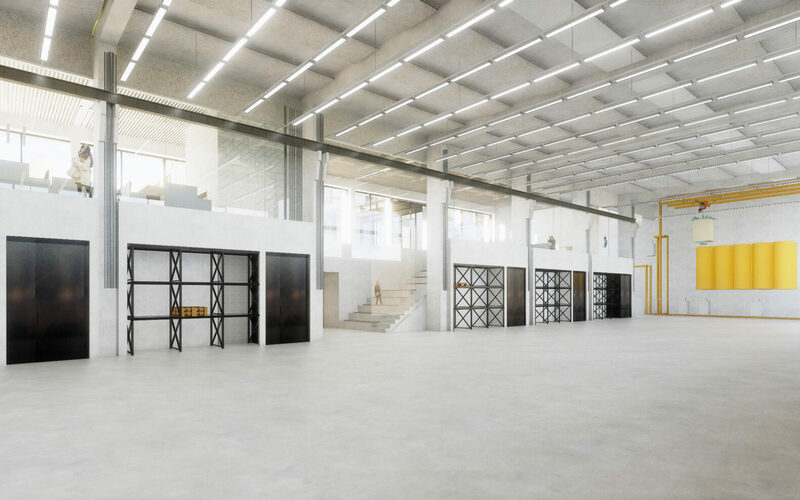 Together with B128 and B129, completed in 2018, B130 will create a sculptural and workshop inspired spatial whole.